Falmouth Harbour, Antigua is scarcely recognizable from the bustling epicentre of activity that it was, just 48 hours ago. The tourists, sailors, and most of the boats have left. Even Libby, the proprietor of my guest house, the Pineapple House, has gone to visit her family in Vancouver, Canada. Chef wanting to depart. 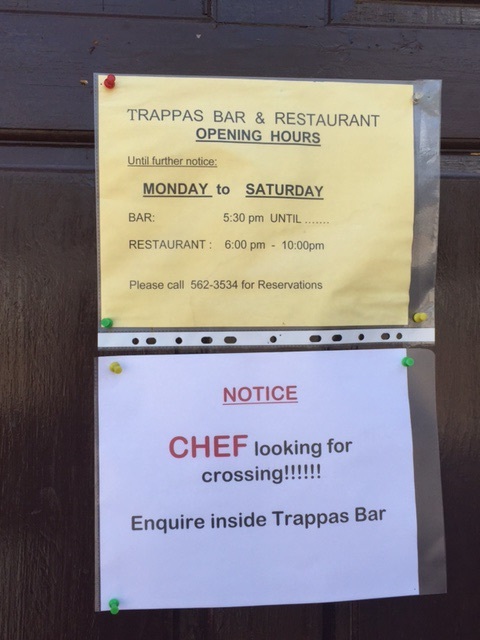 Sign posted outside Trappas restaurant, Falmouth Harbour, Antigua. This afternoon, Nelson’s Dockyard, which bustled with life just last evening, had a donkey tied to a tree, and a couple of goats feeding on the grass outside the main gates. 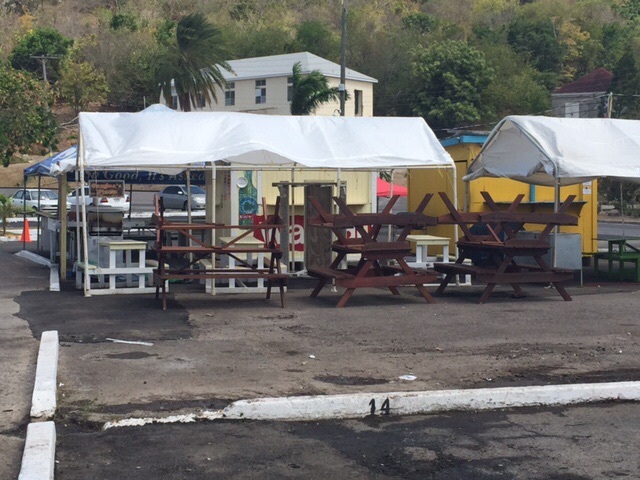 All of the street food vendors were putting away their barbeques and seating areas. The community of shops, restaurants and street food vendors have an air of doneness about them. I was served at a restaurant today, but it was in between gossip. And, the television inside the restaurant was playing a made-for-television film about a pregnant woman with a black eye who was threatening to harm her unborn child with a pair of scissors. It’s considered hurricane season – from June 1st to November 30th. The approaching weather keeps tourists and sailors at bay. The possibility of a hurricane has broad implications for our family. We are planning to take SV Aphrodite, our St Francis 50 catamaran, to the Caribbean for two years. Currently, our boat is docked in Florida for some refits. 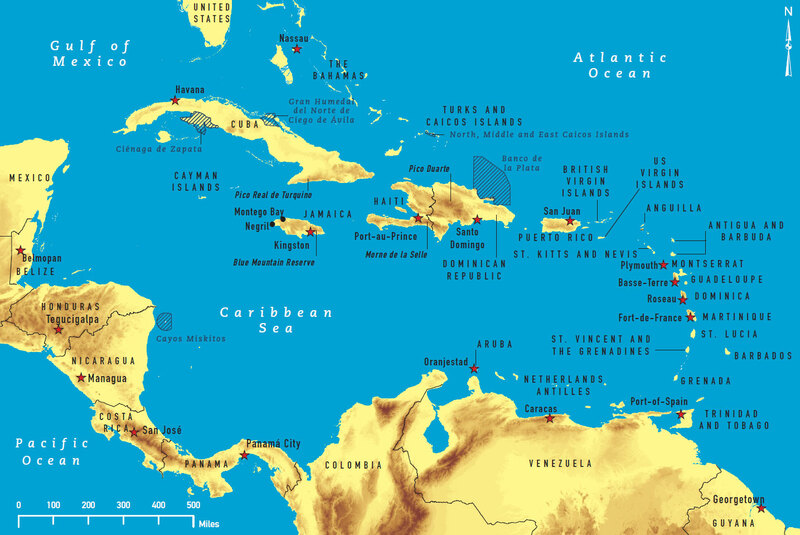 I’ve been told that we can leave Florida in early July – which is when our tenants move in – but we can expect to meet tropical waves by the time we reach Antigua. Other people recommend that we make short hops and seek a sheltered anchorage each night with our eventual destination being Grenada or as far south as Venezuela. I will be here in Antigua for another 10 days. I’ll be keeping my eyes, ears and mind open as to a possible travel plan for our family.